No injuries were reported due to the crash. 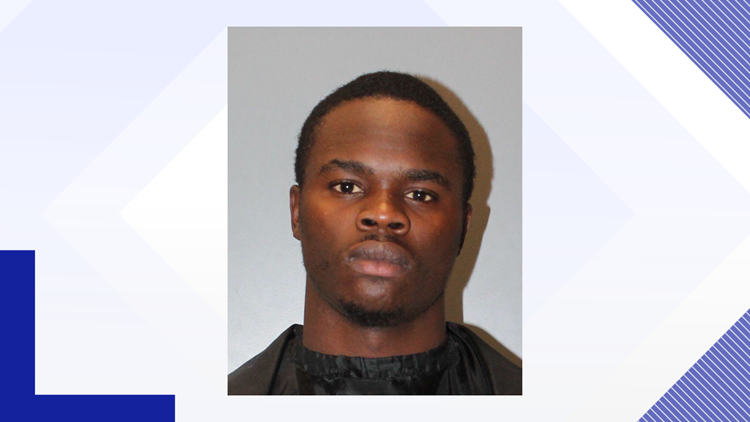 COLUMBIA, S.C. — A man evading arrested ended up inside an apartment after crashing his truck Wednesday. Columbia police say the tried to stop 24-year-old Delarrett Canzater when they found he was driving a stolen truck. He reportedly didn't stop and drove off in the truck, which is when he crashed into the Colony Apartments. A photo tweeted by the Columbia Police Department shows the entire front of the truck crashing through the window of an apartment. The apartment was unoccupied at the time, an no one was injured. Canzater fled on foot after the crash, but he was captured a short time later. He reportedly assaulted an officer during the arrest. He was booked at the Richland County Detention Center and charged with failure to stop for a blue light, possession of a stolen vehicle, hit and run, assault on an officer while resisting arrest, malicious injury to property and reckless driving.